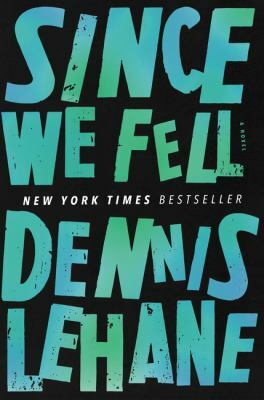 Conspiracy theories run amuck in Dennis Lehane’s Since We Fell. This piece of psychological fiction will pull your mind taunt with the heart-breaking, suspenseful story of a woman struggling to find herself while her life falls to shambles around her. Since We Fell tells the story of Rachel Childs’ journey to find herself again after she has a mental breakdown on air while working as a journalist. Obviously many stressors piled up to lead to Rachel’s breakdown and watching Lehane plot out Rachel’s demise is fascinating. Readers are privy to Rachel’s close examination of her life and how she ended up where she is today. Rachel’s childhood was fraught with turmoil. 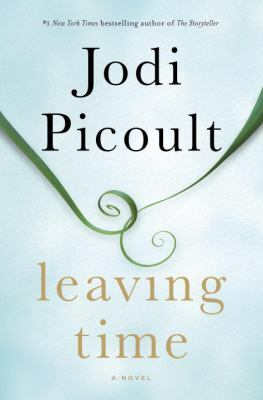 She was raised by Elizabeth Childs, a self-help author with a Ph.D. who spent her days criticizing Rachel and left her life as damaged as she could. Elizabeth relished in the fact that only she knew the true identity of Rachel’s father while Rachel was left wondering continuously who her father could be. 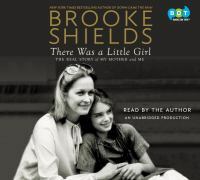 The fact that her mother kept her father’s identity such a secret from her left Rachel missing a part of her identity and determined to do whatever necessary to find her biological father. Rachel’s relationship with men is a testy one, yet she always finds herself looking for the good in them. Enter in Sebastian and Brian. Both men pop up at important moments in Rachel’s life. Sebastian is a producer at the TV station where Rachel works. Brian is a man that Rachel knows casually, a man that Rachel tried to enlist to help find her father. Both Sebastian and Brian propel Rachel forward and drag her back in life. They add both positivity and negativity to her life. Rachel finally feels like she has everything under control filled with a loving husband and a worthwhile career. After she has her on-air meltdown however, Rachel becomes a shut-in and life becomes significantly more difficult. One rainy day while out of her apartment, Rachel has an encounter that drastically changes her life. She soon finds herself questioning everything. Rachel’s life starts to unravel and she can’t pull herself out of the conspiracy that she finds herself thoroughly enmeshed in. Dealing with her mental breakdown and subsequent psychological issues, Rachel has to work to discover what is actually true despite all of the madness, deception, and violence that continuously rock her life. In the past few years, I think it’s safe to say I’m hooked on graphic novels! I don’t make it out of the library on most days without bringing at least 1 new title home to read (though I usually bring a bag-full!). 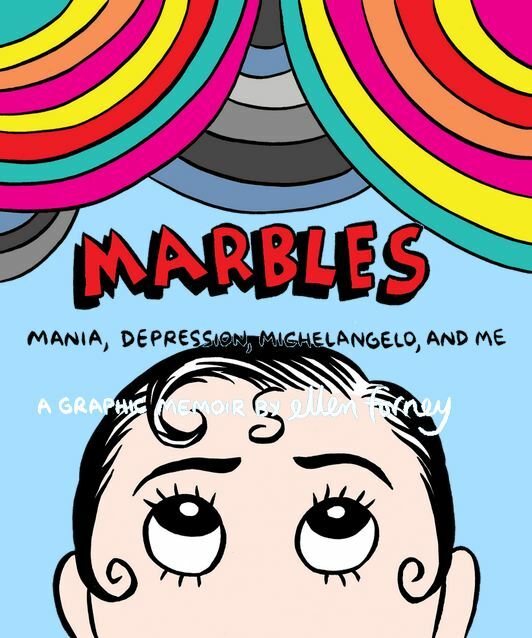 Marbles: Mania, Depression, Michaelangelo, & Me initially jumped out at me, like so many graphic novels do, because of the colorful artwork on the cover; but Ellen Forney’s frank, funny, and painful reckoning with the depression & mania that accompany Bipolar disorder is honest, brave, and thought-provoking. For the skeptics who doubt that graphic novels can be emotionally complex & deeply moving, try reading Hole in the Heart: Bringing up Beth, a 2016 work of graphic medicine about raising a daughter with Down’s Syndrome.You won’t find a summary of Forney’s autobiographical memoir here: just read it for yourself. I don’t know anyone who isn’t touched by mental illness in some capacity, either through personal experience or knowing or loving someone who struggles–often silently-with bipolar or another mental illness. Yet it’s still an elephant in the room or–if not an elephant–some other misunderstood creature who looks a lot like your neighbor, sister, boyfriend, or cousin. Forney’s autobiographical sketch even compares identifying people who suffer from bipolar with “outing” someone –the often intentionally cruel practice of shining a light in a calculated way in order to “expose” someone as unusual or different. But Marbles is a victory in the fight to de-bunk the myth that people with mental illness are certifiably “crazy”, “scary”, and “dangerous”. A graphic novel like Marbles is another step in the right direction of normalizing and de-stigmatizing mental illness. These is a genuine, candid representation of mania and depression. One of the defining themes in this work is the interplay between madness & creativity. Would treatment of her newly-diagnosed illness hamper her creative energy? Would treatment change or dull her creative identity? It is certainly a terrifying thought to consider that medications may not only not work, but they may change an essential part of who you are–an essential part that you may not want to change. Forney discovers, like so many others, that should she “join the ranks” of those artists who came before her who also suffered with bipolar disorder (historically referred to as manic depression), she would find herself in good company. Great company, even. Truth be told, there is such comfort to be found in placing yourself along a continuum–of knowing of the others who came before you. Through the act of reading, Forney also found comfort, reprieve, and solidarity. An Unquiet Mind by Kay Jamison, for example, is a particular book that was mentioned within the pages of Marbles. Forney does not sugarcoat the profound sense of loneliness she felt as she cycled in and out of mania and depression. This book will invite you to contemplate the controversial issues surrounding mental illness, including diagnosis (misdiagnosis is notoriously a major cause of harm and medical error in the united states), medication, other modes of treatment (alternative & complementary therapies such as yoga). A particularly intriguing insight related to Cognitive Behavior Therapy (CBT), a treatment modality that enables people to improve their symptoms by recognizing and challenging or calling-out the negative self-talk cycles that are a cornerstone of mental illness. Although Forney didn’t delve particularly deeply into this aspect of the memoir, it is clearly an essential part of her road to finding balance and stability in her life (and ultimately even coming to terms with wanting to find balance in the first place). Keep in mind, this graphic memoir never claims to offer medical advice but rather is the testament of the author. 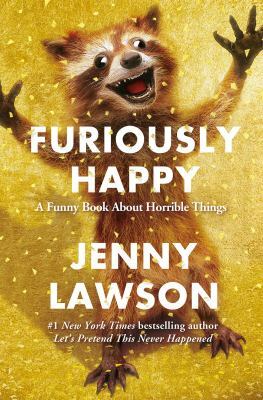 Ultimately, this book highlights Forney’s experience living with bipolar illness in a way that is especially human: raw, passionate, sanguine, and vulnerable. I was heartened by the author’s resolve throughout and by the last page and I think you will be too. 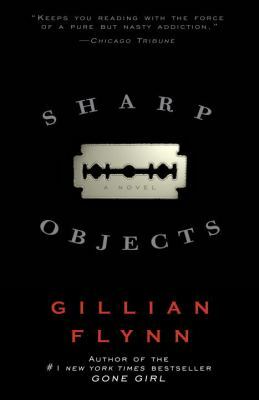 Sharp Objects was Gillian Flynn’s literary debut in 2006, followed after with Dark Places in 2009, Gone Girl in 2012, and The Grownup in 2014. Flynn’s first three works are all suspenseful, dark books full of thrilling chases, tragedies, secrets, and lies. 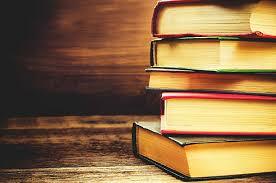 I was introduced to Gillian Flynn through Gone Girl and immediately dived into her other books. In Sharp Objects, Camille Preaker is working as a journalist for a second-rate newspaper, the Daily Post, in Chicago when her boss, Frank Curry, gives her a new assignment. Camille is to head to her hometown of Wind Gap, Missouri to cover the murder of one young girl and the kidnapping of another. Camille soon finds herself back in Wind Gap for the first time in eight years, working on her career-boosting serial-killer-in-the-making article. 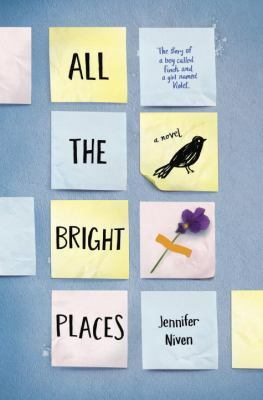 In this psychological thriller, Camille struggles to break through small-town barriers to find the truth about what happened to those two girls. Once the body of the second girl is found, Camille finds herself swept into the story amidst all the rumors flying through town about who committed these vile acts. These murders are especially hard for Camille and her mother, as her younger sister died when she was 10 of a mysterious illness. Local police call on the help of a profiler from Kansas City, MO and Camille works closely with him to discover Wind Gap’s secrets. Camille has secrets of her own. She comes from a dysfunctional family and one of the things she turned to to cope was self-mutilation. She was once institutionalized for this; her body covered in scars, words littering every surface of skin. Her trip back to Wind Gap forces her to relive her disturbed childhood, digging into old family secrets and things simmering under the surface. This book is truly suspenseful, leaving readers guessing about the murderer and the truth those simmering secrets until the very end. A riveting, revelatory, and moving account of the author’s struggles with anxiety, and of the history of efforts by scientists, philosophers, and writers to understand the condition. As recently as thirty-five years ago, anxiety did not exist as a diagnostic category. Today, it is the most common form of officially classified mental illness. Scott Stossel gracefully guides us across the terrain of an affliction that is pervasive yet too often misunderstood. Drawing on his own long-standing battle with anxiety, Stossel presents an astonishing history, at once intimate and authoritative, of the efforts to understand the condition from medical, cultural, philosophical, and experiential perspectives. He ranges from the earliest medical reports of Galen and Hippocrates, through later observations by Robert Burton and Soren Kierkegaard, to the investigations by great nineteenth-century scientists, such as Charles Darwin, William James, and Sigmund Freud, as they began to explore its sources and causes, to the latest research by neuroscientists and geneticists. Stossel reports on famous individuals who struggled with anxiety, as well as on the afflicted generations of his own family. His portrait of anxiety reveals not only the emotion’s myriad manifestations and the anguish anxiety produces but also the countless psychotherapies, medications, and other (often outlandish) treatments that have been developed to counteract it. 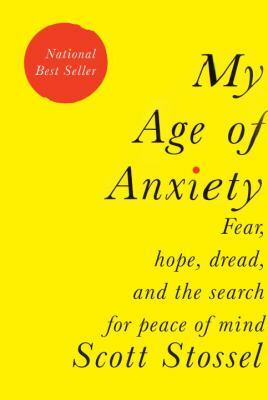 Stossel vividly depicts anxiety’s human toll – its crippling impact, its devastating power to paralyze – while at the same time exploring how those who suffer from it find ways to manage and control it. Overwhelmed by mounting pressures from school, home and life, 16-year-old Craig contemplates suicide. Planning to jump off the Brooklyn Bridge, at the last minute he detours to the local mental health clinic hoping for a simple solution. What he finds instead, after a minimum five-day stay, is that there are no simple answers, just the support of family and friends and the belief in your own true self. Starring Keir Gilchrist, Zach Galifianakis and Emma Roberts, It’s Kind of a Funny Story is a charming, witty and heartfelt movie. 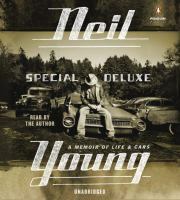 Craig finds himself surrounded – and accepted – by a colorful cast of characters. His fellow patients are all struggling with their own personal demons but pull together and support each other, sometimes in surprising ways. There are a lot of funny scenes and quiet moments, and there are heartbreaking insights. It’s a story not so much about mental illness as it’s about finding a way to live again. This is an unusual true story of a Los Angeles Times columnist who one day takes notice of a violin playing homeless man. Unusual is the music this homeless person manages to produce from a beat up violin with two strings missing. Even the columnist, who has little music knowledge, can tell that this raggedy seemingly eccentric individual must have had some classical training and education. Shortly after approaching Nathaniel, Lopez discovers that he is a former Juilliard student, living on the streets suffering from untreated schizophrenia. The homeless musician stirs something unshakable in the columnist. As Lopez begins to try and improve Nathaniel’s life -by getting him off the streets and back on medication – he finds that Nathaniel has irrevocably changed his. I was listening to Yo-Yo Ma who was a guest on Garrison Keillor’s radio show last week. I stopped to really listen to this world renowned cellist and was able to imagine Nathaniel Ayers playing in the same orchestra with him over 30 years ago. 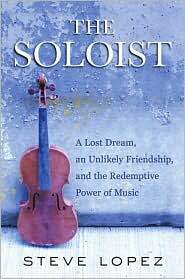 The Soloist had the potential to be a very depressing read. Instead, it was a hugely wonderful story.